I am writing a startup thriller novel right now called The Term Sheet. It is like Dan Brown meets Mark Cuban meets Edward Snowden. It has a lot of startup advice, but is full of thrills, mysteries, twists and a few near-death experiences. The traditional way to write a novel is to spend months, sometimes years, lonely in a dark cave of desperation. Stephen King famously said in On Writing that the first draft should be done with the door closed. To write it only for yourself and your Ideal Reader and hope you end up with a story good enough to delight others at the end of it. If you don’t, just try again in the same way. I don’t like to do things in traditional ways, so instead, I am applying Lean Startup ideas to novel writing. If you have Stephen King’s talent, whatever you write turns into gold. He has an amazingly strong ability to create stories that resonate deeply with his audience. He knows his audience intimately. For many writers, getting to know your audience is something that takes more time. It is a combination of improving your craft (creating sentences and paragraphs that string together coherently) and listing to feedback from your readers and people you respect. Even famous authors like Ken Follett who make over $20M/year weren’t great at this when they started. Ken Follett wrote 5 self-described “ok” novels before his first bestselling hit: The Eye of the Needle. And that novel didn’t sell nearly as well as his later novel: The Pillars of the Earth. The problem: Finding product-market fit as an author is nearly impossible if you don’t have an innate understanding of what people want to read. Traditionally, the solution to this is to write more novels and hope you improve your instincts. Many authors will write dozens of novels and never figure out their audience or what they want. They never sell many copies of their books and usually eventually just give up. This happens to most authors. An alternative to hoping that you get better at understanding your audience is to apply Lean Startup Methodology to writing your novel. Concepts like product-market fit, failing fast, and continuous iteration can all be applied to the novel writing process. With the lean startup thought process, you test business ideas and keep looking for ways to improve them. This is relatively easy to do with business ideas because you can put an ad on Google or Facebook and see if anyone clicks it. Or you can put a post on Hacker News. If people are interested and will pay you money, you know you are going in the right direction. With novels, it is not as easy and straightforward because putting an ad on Google for a novel you haven’t written yet is almost certainly going to fail. So how do you test novel ideas? The first thing you need to do is build an engaged audience of people who would be interested in reading your book. You start with an email list that has just your family and friends on it. When I started this blog, my first email blast went out to just 6 people. It felt like a daunting task, but now I have hundreds of people on my list who are all super engaged and provide fantastic feedback for me to guide decision making processes while writing the book. If you don’t know how to even get started here, read Tim Grahl’s Your First 1000 Copies. This is an amazing resource for beginners getting into content marketing principles to build an engaged audience. You can not write a novel by consensus. You have to be the leader of your novel, you have to be in the driver’s seat (or let your characters be in the driver’s seat). However sometimes you or your characters can get lost or need a little push or guidance. If you get writer’s block and don’t know what should come next for your characters, you can come up with three scenarios and ask your mailing list which one they find most exciting. If you are not certain about a plot twist, come up with three alternative plot twists and ask your mailing list. Instead of blindly picking the one I liked best, I asked my mailing list and they overwhelmingly picked “The Term Sheet”. I didn’t invest a lot of time and effort on cover art for Cryptobit and have to throw it away. I approached the problem with a lean and agile process. 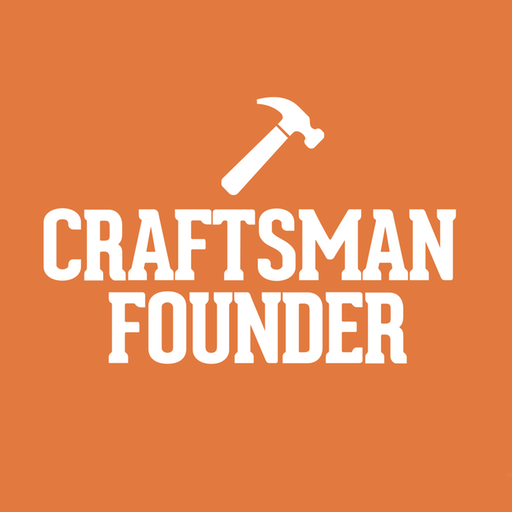 When I wrote the Craftsman Founder Manifesto, I emailed three cover options to my email list and had an overwhelmingly positive reaction to just one of them. When I design The Term Sheet’s cover, I will also be gathering feedback before I make a decision. If you are reading this now and want to help me along the way, just join my mailing list. As you read the manuscript, use a colored pen or Word’s comment highlight feature to make note of places that are inconsistent, vague, or need additional work. In your opinion, is the book targeted toward people like you? Yes/No. Please explain. In your opinion, what is the intended purpose or big idea of the book? In your opinion, is the book achieving its intended purpose? Yes/No. Please explain. In your opinion, what are the main strengths of the manuscript? In your opinion, what are the main weaknesses of the manuscript? How might the author better reach the book’s intended audience, clearly fulfill its purpose, and address some of its weaknesses? Please write any additional comments, suggestions, or feedback. You can then use this feedback to iterate on your second and third drafts. Before you publish the book, you can have certainty that the book works and resonates with your audience. You don’t just write blindly and hope that it works. Writing a novel is hard. With today’s technology and opportunities, authors no longer need to write with a closed door. Asking for help is not a sign of weakness; it is a sign of curiosity. Using Lean Methodology: iterating, testing your assumptions, and finding product-market fit BEFORE you finish your book is an alternative for people who want to make sure that all their efforts were not a complete waste of time.